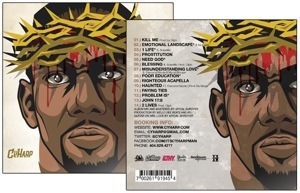 Cy Harp has released the visual to “Need God” off of the Die for Truth Album. Need God is a very soulful feeling song with a strong message indicating it’s never too late to change your life for the best. You must check out the video, comment, and share with your friends. One song at a time Cy Harp plans to change the thought process of the world. “Ride Along” arrived in first place at the weekend box office.